Visualize all tasks, calls, followups, meetings and events in an easy-to-use calendar. Click below to switch views. Access your CRM anywhere, anytime, and on any device. 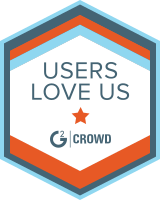 GleanView has been rated both a High Performer CRM and a Top 20 Most User Friendly Marketing Automation.